Whether you provide a service, sell goods, have a website or not, it's now a lot easier to send or schedule professional invoices to your customers around the world with PayPal Invoices. Sending an invoice with PayPal is easy. 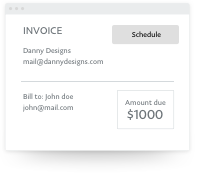 With the new scheduled invoicing feature, you can plan and have your invoices sent automatically every month. That means one less thing to worry about and more time to focus on building your business. Enter your business' and customer's information, job and cost details. Preview your invoice and schedule a future date for it to be sent out. Complete the remaining details and when you're done, select Save and Schedule. 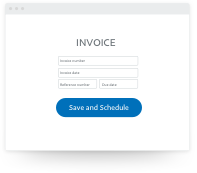 From tracking payments to sending reminders to your customers about overdue payments, and other management functions, you can automate your invoicing workflow easily. 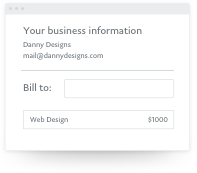 With a PayPal Business account, it's free to send your own personalized invoices. You only pay a small fee when you receive a payment.